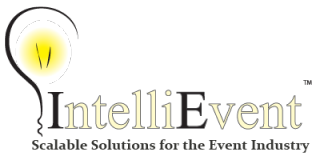 IntelliEvent, provider of business management software for the events industry, will host the third annual Extreme Impact Monterey conference, a two-day event for clients and partners, starting April 4th in Monterey, California. IntelliEvent is owned and operated by Extreme Impact, Inc.
event business. The conference features a keynote address by Margie Selfer, a certified DiSC trainer and motivational speaker. Don Romeka, the Chief Executive Officer of Extreme Impact, Inc.
we value the opportunity to meet with clients past, present and future.” For example, Bruce Kneff, owner of LED3/Multimedia Farms, is returning after attending last year’s conference. Commenting on the IntelliEvent software application, he said, "I learned so much from the other users and the IntelliEvent team" and "connecting with some key folks in my industry was extremely motivating." New IntelliEvent clients attending the conference include Jeff Baker, President of AGF Media Services. "We are excited to connect with the IntelliEvent team," he said. "We have known IntelliEvent for over ten years, and they have always stayed on the forefront of technology… Their cloud-based solution called IntelliEvent Lightning is completely state of the art, and we are excited to be running our business on our iPads and other mobile devices. Plus, the savings in our monthly IT costs is amazing." The conference will also include a Partners tournament at Monterey’s Jack Nicklaus Signature Golf Course and numerous activities across the Monterey Peninsula.